Hello 2016 we have arrived! And welcome to the first Best Of The Week of the year - long may it continue! I hope you've all had a wonderful start to the New Year and if you've seen it in in a big way and you're starting the year nursing a sore head, hopefully you're reading this tucked up in bed with a cuppa and some ibuprofen. Here's to whatever the next year brings our way! I mean it'd be rude not to start with the big one wouldn't it? Although it was technically included in last week's report (read here) it was obviously my favourite thing of the past 7 days. It was a weird one, it broke a lot of traditions I have had upheld the past 22 years of my life and it was strange not to see my brother and boyfriend for very long (baby and job respectively). But in the end, it was Christmas day and I had A LOT of wonderful stuff, I ate a wonderful turkey dinner and I spent it with my parents and grandparents. Undoubtedly the best thing of every week for me and the best product of this year has been my niece. I am utterly in love with her and I am incredibly lucky to be spending so much time babysitting her and that she recognises me and smiles and crawls to me when I walk in the door and this year for my first Christmas with her, she signed my first Auntie card herself. At 7 months old I credit all her artistic skill to myself and her other auntie naturally. Boxing Day this year was even nicer than Christmas Day itself because my brother and my boyfriend were around. We visited my Uncle and cousins in the morning and then went to my grandparents as we do every Boxing Day and ate another turkey dinner (we had three back to back) and played board games. And then, when we all went our separate ways and went home I spent all my Christmas vouchers in the sale. Ideal. It's trending over basically every social media so obviously I had to jump on the band wagon and find out my best nine Instagram posts of 2015. I was pleasantly surprised with my turn out and the amount of likes I got this year. Thank you to all my lovely followers and all the love I got this year on all forms of social media, you little gems you. And if you don't already follow me and you want to see my best nine (and the other 500) of 2015 or what I get up to in the next 366 days, follow me on Insta here! Obviously had to start with Christmas and end with New Years didn't I? Naturally this post didn't go out at 6am with me typing furiously, this was scheduled on Wednesday actually (soz for breaking the magic) so I can't actively say I had a lovely NYE, I am hoping that I did! 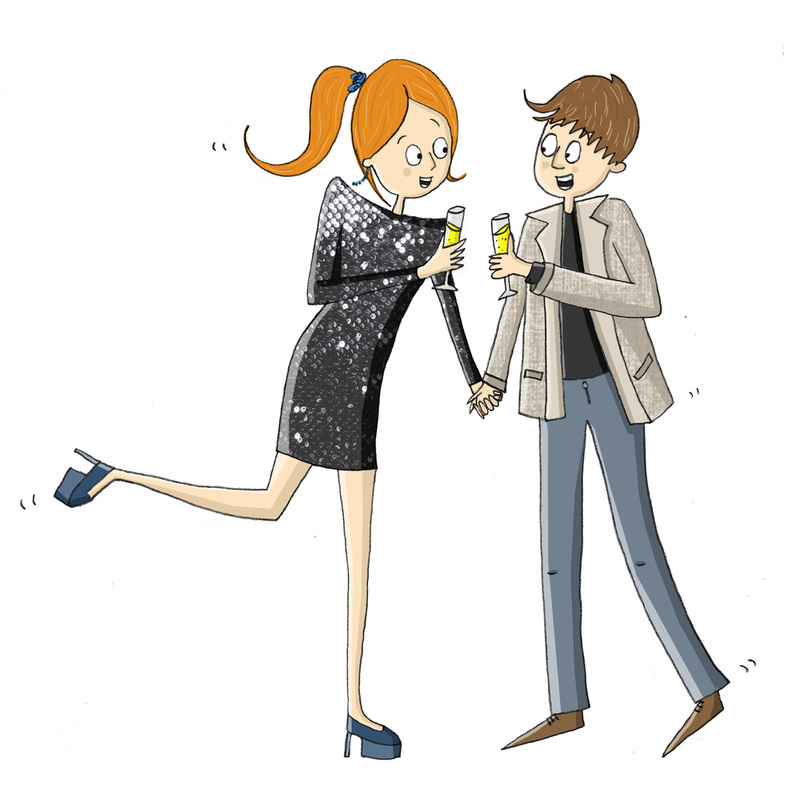 In the meantime, here's my New Years illustration and you can have a read of my resolutions here! Hope your 2016 is magical ya'll, thanks for your support for the last year!